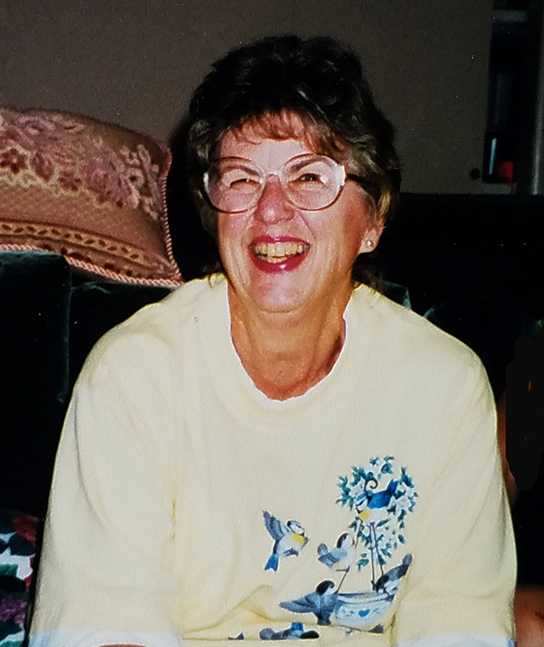 My Mom, Annice C. Sweigard, September 12, 1934 -October 16, 2018. 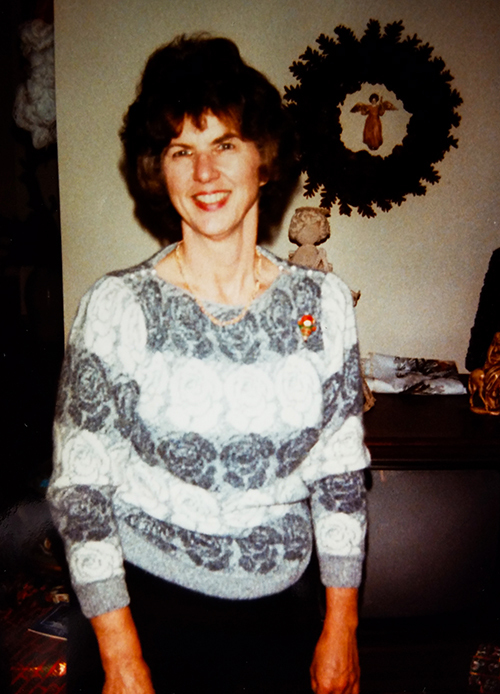 My mom fought a short battle with cancer. She was diagnosed in May and the cancer moved quickly through her body. 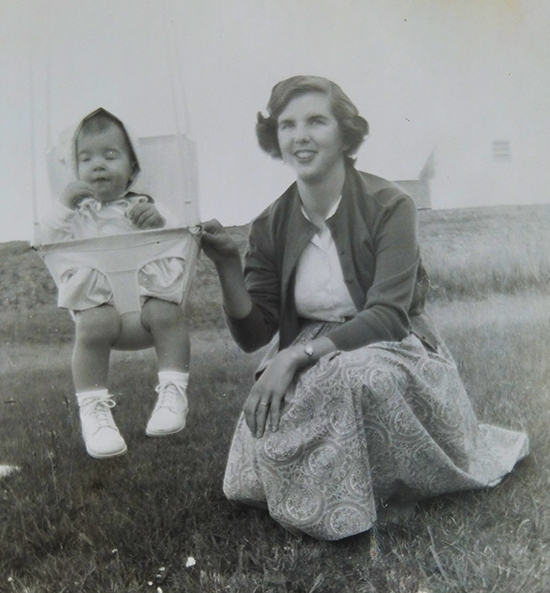 Many of you who attended my lectures heard me talk about my mother and how she influenced my sewing life. Here is one of my favorite old photos. 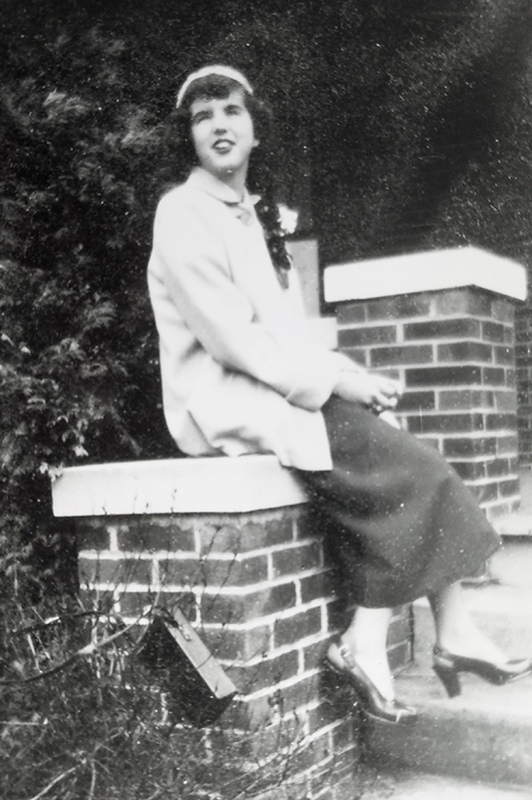 She was a real looker. I am so thankful for all she did for me and all she taught me. 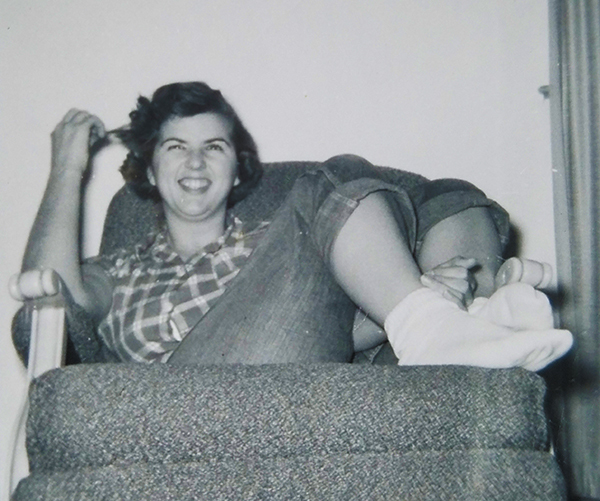 She brought me into this world in 1957 and made certain she spent plenty of time with me. Thanks Mom. She instilled in me, my brother Rahn, and my sister, Paula, that if you start something always finish it. I still finish every quilt. This is why I have nearly 400 finished quilts and the only unfinished project is the one I am currently working on. Thanks Mom. As a small child and throughout my high school years, I have fond memories of my mom sewing in the evenings. She also had a little bit of a competitive side as she was active in the Garden Club. She entered and won ribbons for her flower arranging. Maybe that’s why I enjoy entering my work in shows. Thanks Mom. And, she always made us pose for a photo to be placed in the family Christmas card. 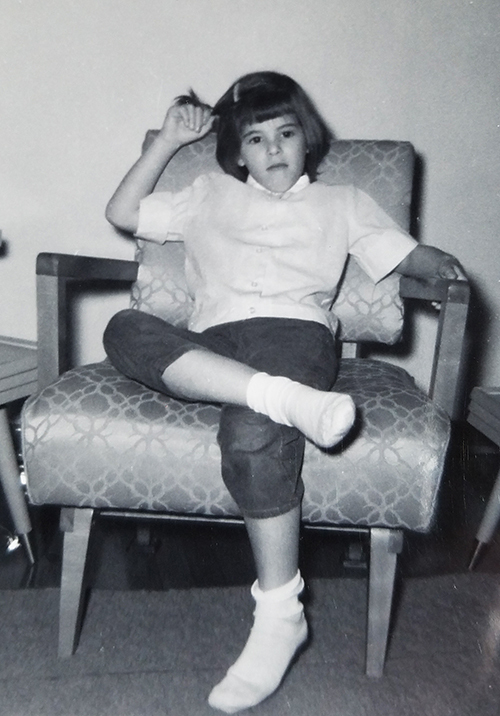 I was not thinking at the time when we had to sit still….thanks Mom. 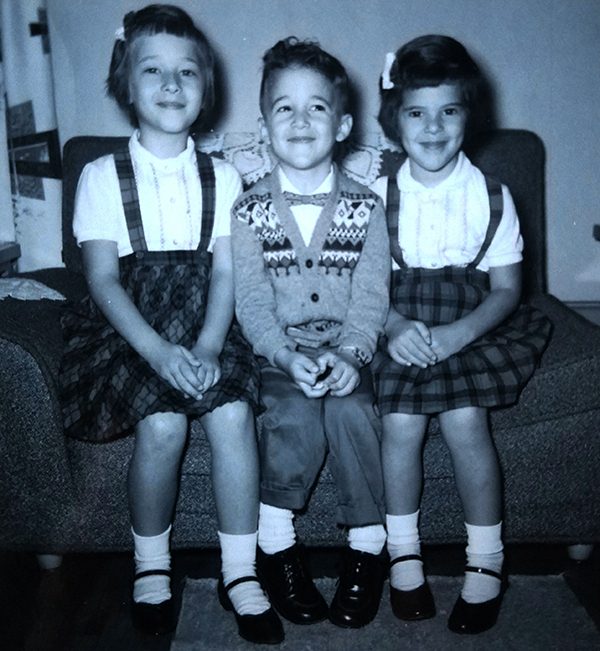 But, today I think, thanks mom, as we have these memories frozen in time. She taught me that when you are deep in thought it is O.K. to twist your hair. OK, this really made me laugh finding these two photos. The Christmas that I was 20, Mom bought me my first sewing machine. It was a refurbished machine because that is what she could afford. That certainly helped me on my sewing journey. Thanks Mom. 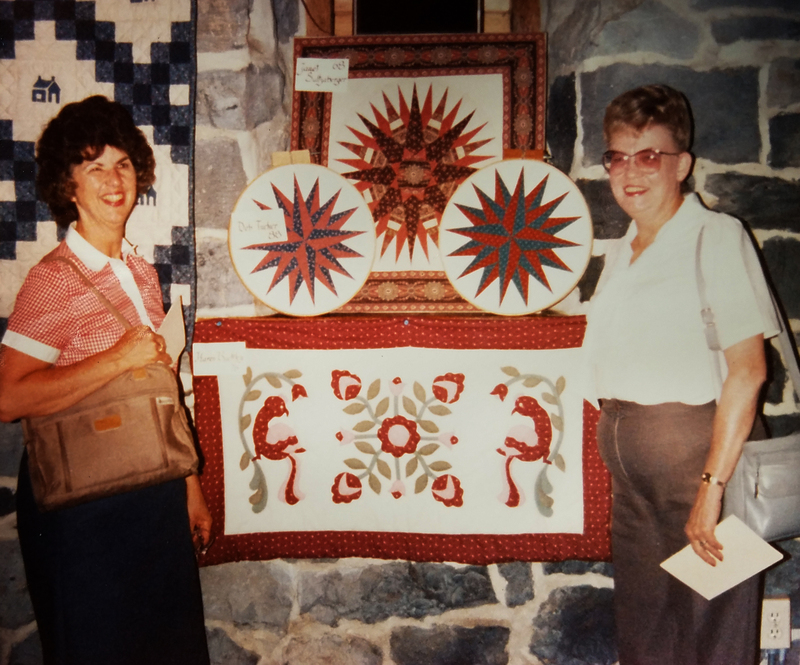 In 1984, when my first few quilted pieces were publicly displayed, my mom and Aunt Lou were there to cheer me on. Thanks Mom. I will never forget her smile. I was happy to spend so much time with her during these past months. If there is one good thing about cancer…..it gives you time to say goodbye. This entry was posted on Monday, October 22nd, 2018 at 8:27 am	and is filed under Uncategorized. You can follow any responses to this entry through the RSS 2.0 feed. You can leave a response, or trackback from your own site.